You may have thought that I never made it home from Alaska but I’m back!! Since late June, that is. When summer in NH was just making its appearance, we returned from the trip of a lifetime. Or not. It seems as though we say that about every trip that we take–Hawaii, Alaska, and, next summer, a 17-day river cruise from Amsterdam to Budapest!! 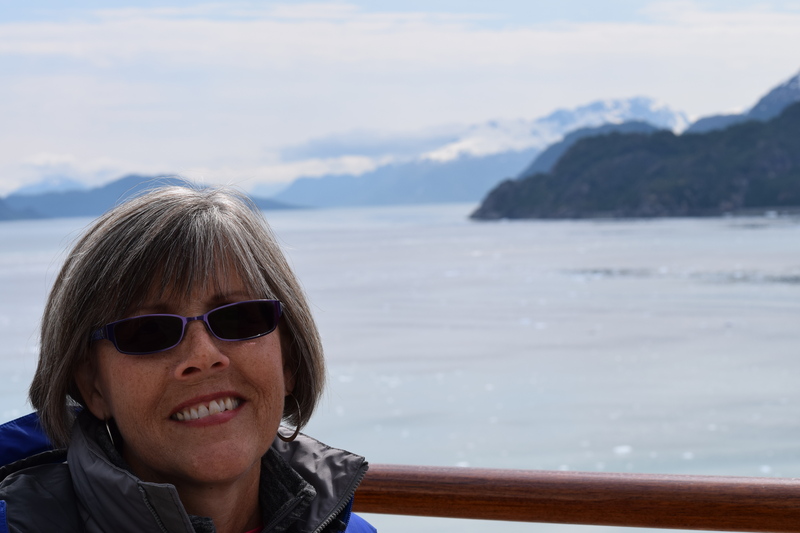 blog), wildlife (a dead porcupine strapped to the top of a car), forest fires (smoke was overwhelming in Fairbanks), an earthquake–we experienced it all on our cruise/land tour of Alaska! Despite all of this–or maybe because of it–we loved our time in Alaska. We have 1,000+ pictures to prove it. We met interesting people from around the world, mainly by asking if we could take the two empty chairs at their lunch table. Our dinner mates were two brothers and their spouses from Michigan. Last week we returned from an Adrenal Cancer Symposium in Ann Arbor, Michigan, spent a night with one of the couples, and went out to dinner with all four of them. It was as though we had just left Fairbanks a few days ago. The Adrenal Cancer Symposium was amazing. Over 200 doctors, researchers, and patients came together to learn about the latest developments in diagnosing and treating this rare, orphan disease. 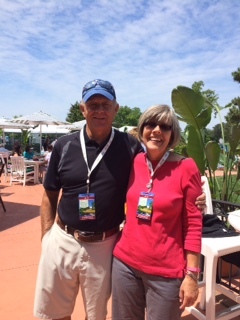 We became acquainted with many of the patients and advocates attending, all of us with unique stories about the disease we share. Dr. Gary Hammer, the amazing head of the University of Michigan’s Hammer Laboratory, managed to be everywhere during the symposium. I hope he is on vacation this week, somewhere with sunshine, waves, and an “all inclusive” band around his wrist! We did enjoy the hot summer here with trips to Cape Cod, Ogunquit, and Rye Beach. Only managed to get our kayaks on Long Pond once. Didn’t make it to Bar Harbor/Acadia National Park, Nova Scotia/Prince Edward Island, or Martha’s Vineyard, but you have to stay home once in a while. Don’t you? Steve has given up on his motorcycle (anyone interested in buying a great Harley Davidson??) and is now obsessed with his 2004 soft-top Jeep Wrangler. And so am I. Sad to report that I took the screens off the windows today. We’ve had a few killing frosts (19 degrees one morning) and the foliage has either turned a dull brown or has been blown to the ground. What I consider to be the best season in NH–summer–is over. My husband claims the best is fall. Neither one of us is a fan of winter (anymore? were we ever?) so we have decided to head out early this year and spend our first Christmas in Williamsburg (Colonial Williamsburg should be beautiful) then it’s off to Arizona for sunshine, blue skies, and dry heat. If you’ve been following my writing group’s blog, Thursday Night Writes, you’ll know that I’ve kept up my writing but still struggle to complete any of my projects. NaNoWriMo starts up again November 1 (I was unsuccessful in reaching my goal in Camp NaNoWriMo in July) and I plan to participate. The gray days of November and a TV diet just might help me achieve my 50,000 words. Guess you’re caught up….funny how you can condense an entire summer into fewer than 600 words! We arrived home safe and sound on May 20 after spending a few short, busy and FUN weeks with Jennifer and family in Williamsburg (and my sister from Virginia Beach and niece from DC). The weather was great–except for when it had to rain. We joke that if they need rain down there, just invite us to visit–the rain won’t be far behind! My Fitbit got a good workout with walking the three dogs and keeping up with Laurel and Alex. Love being back home. Oh, if you don’t count the weather. Hot one day, rainy and cold for the next three. Definitely have missed all of our friends and family. Sheffield and Elise have grown up so much since December!! We are now embarking onto another countdown–preparing for our cruise and land tour in Alaska! (Is there a person who has done this who wouldn’t do it again? If so, I haven’t run into them.) We leave the end of next week and I am nowhere near ready. It’s all about the clothes–how do you pack for a region where the temperatures have been fluctuating between the 90’s (record highs) and the 30’s and snow?? (I’ve decided that fleece gloves and headband are a necessity and they won’t take up too much precious space in my suitcases.) “Layers” is the advice I get from those who have done this before. I have submitted my story “Jamie” to my writing group several times since our return from Arizona. I chuckled when I read the comments after our session last night. On some areas there is a consensus on what works and what doesn’t–yet on others, one member might like something and another might not. It’s as though I had six editors reviewing my work. Oh, it’s not just me. Everyone in our writing group runs into the same thing. One of my biggest downfalls is that I know inside my head what is happening inside my characters’ heads but I am not adept at getting that onto paper. Yet. Since our return we have been busy with doctors’ and dentist (no cavities!) appointments. I met with my endocrinologist yesterday at DHMC. Nothing new except my left adrenal gland is finally starting to shut down. After slightly over two years on mitotane! She was pleased with that–and so am I. I’d hate to think that all of the nausea and fatigue was for naught. As it was Thursday, we had turkey in the cafeteria. The allure is finally wearing off and I didn’t even finish my meal. Shocking. 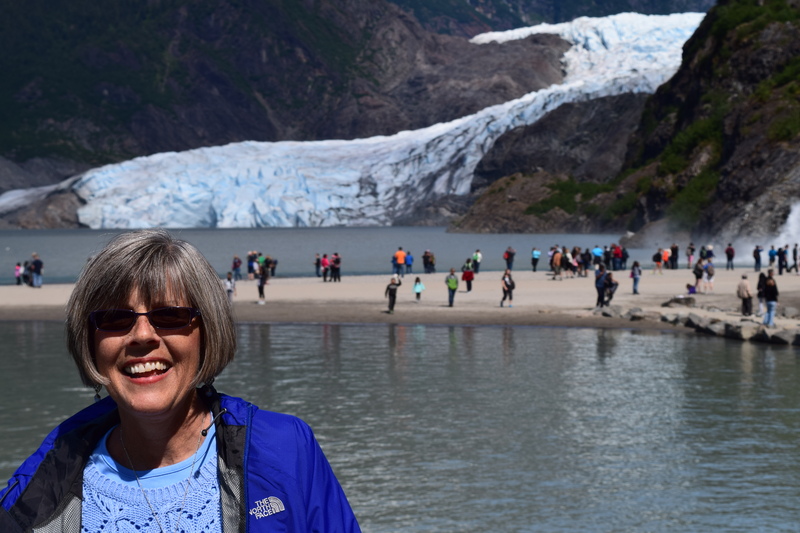 My oncologist visit is the day after our return from Alaska–who thought that was a good idea? I see my primary care physician in July, when we will discuss scheduling the dreaded colonoscopy. (I’m on the five-year plan.) Haven’t I been through enough? Can’t wait to tell you all about Alaska…but that will mean the trip of a lifetime is over…except we already are planning on a river cruise to Europe next year!! Eleven short days until we leave Arizona on our return trip home. We’re heading north this trip, spending time in some of the national parks in Utah, visiting with a friend in Charlotte, NC, and driving up the Outer Banks (I miss the ocean!). And I can’t forget Kansas….We’ll spend three weeks in Williamsburg, VA, then we’ll be back home in New Hampshire–assuming the snow is gone by then. 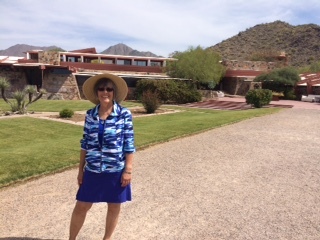 This doesn’t leave us much time to visit the places that we didn’t get to over the “winter.” Friday we toured Taliesin West, the winter home of Frank Lloyd Wright. I previously read two novels about the women in Wright’s life, “Loving Frank” by Nancy Horan and “The Women: A Novel” by T. C. Boyle. These two books provide a slightly different perspective of Wright’s life than the tour guide was willing (trained??) to offer. There’s no denying that he was an architectural genius. My favorite room: the breezeway!! He situated it so that you look out the back and your view is of the McDowell Mountains and out the front you look down into the entire valley of Phoenix. Also, it is designed to catch the breeze coming up from the valley, creating, I presume, a most comfortable place to write or read when the temperatures soar–assuming you can tear your eyes away from the view. 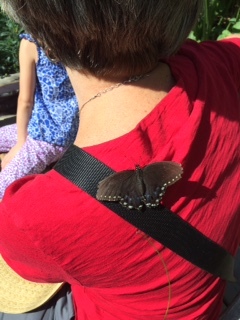 had a great time with them: the Desert Botanical Garden and their Spring Butterfly Exhibit, miniature golf, a boat ride on Saguaro Lake, a hike in Usery Park (not me….sick), the pool and the hot tub (not me….brrr), horseback riding (not me….sick). We even enjoyed a mini-family reunion with our niece, Wanda, and her two children from Maryland who happened to be here at the same time visiting a friend. Steve and I got free passes from the local library for the Phoenix Art Museum as well as Arcosanti, “an urban laboratory focused on innovative design, community, and environmental accountability.” Paolo Soleri founded the community in 1970, which appears to rely mainly on the sale of windbells they create and tours. Soleri studied under Wright and developed the theory of Arcology (architecture and ecology), which he has applied at Arcosanti. The concept is intriguing but the execution needs work. March was good news on the adrenal cancer front. I am now two years and four months cancer-free based on my most recent CT scan. Yippee!! Unfortunately, my mitotane level is just barely at the therapeutic range on four pills a day. As I’ve been quite nauseous and tired at that level, I’ve reduced to three pills a day. Wonder what my level will be in May? As for our remaining days in Arizona, maybe I’ll just spend the rest of the time enjoying the rest of the time! !